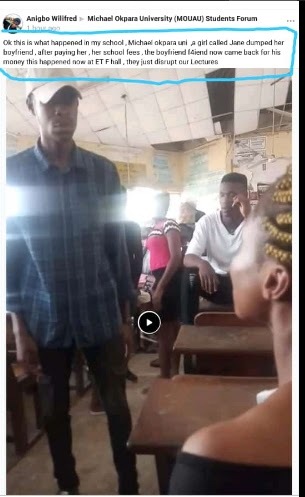 A student of Michael Okpara University Of Agriculture, Umudike, Abia state, was filmed openly beating up his girlfriend over #20,000 naira. 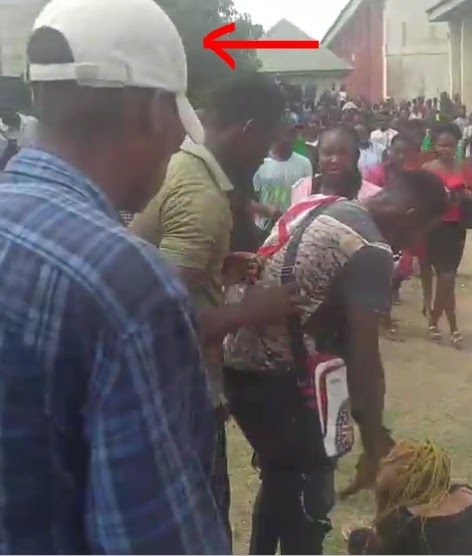 In a video shared online, the man can be seen battering the girl in front of their schoolmates. As seen from the video he was slapping her at some point as he said, "Jane, where is my money." 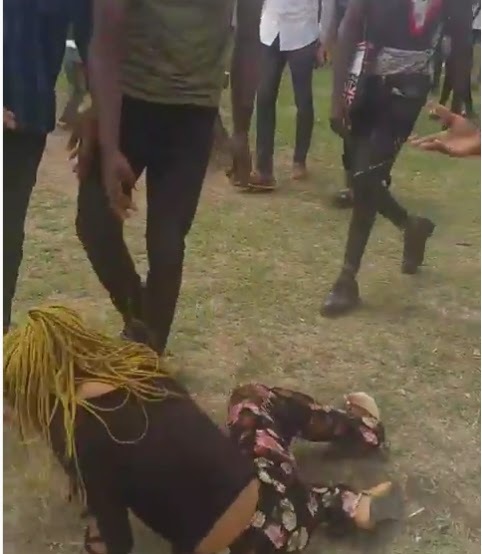 Some students stepped in and tried to intervene but the boyfriend stood his ground and continued the assault.